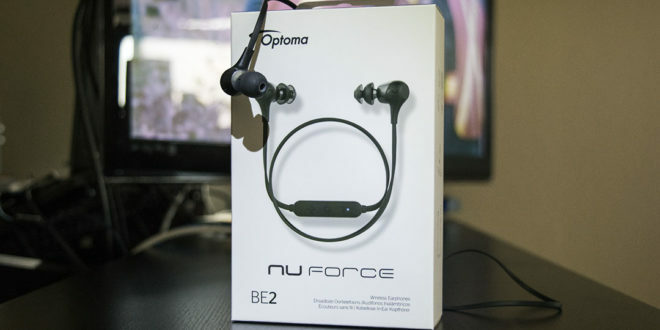 NuForce BE2 is aimed at the active consumer who likes to listen to his favourite smash while cycling, jogging, lifting and the likes, but in all honesty, anyone can use them and enjoy them. People are interested in the price, how long will they last on a single charge, can they get wet and how the fit is. I can’t blame them, this is what I look for as well. Starting August 15th the BE2 is available on Amazon at a pretty reasonable price of $49 USD. You’d be hard pressed to find something that is as good as the BE2 for this price range. You’ll get approximately 10 hours worth of constant usage and probably even longer if you don’t use them every day. They are coated with an IPX5 rating which translates to being sweat proof and water resistant. The ear-fit really depends on each person, providing the different tips with the package was a good move, however, I find that often enough these type of in-ear headphone never stay in my ears when I move around. The BE2 wasn’t an exception, the marshmallow tip doesn’t keep their seal and they’ll eventually pop out of my ears. I would of like to see some type of mechanism that would have secured them in place. This is a personal thing I suppose. Don’t be afraid to lose them, the ear buds have magnets in them and if you join them together around your neck they’ll be sure to stay in place when you don’t have them in your ears. Next came the sound quality. While I’ve had the pleasure of using low end and high-end accessories for my music experience, I would have to say that these are in the middle class. The low spectrum of the sound felt as if it was muted slightly on purpose, the mids were very nice and the high notes were completely flat as if the treble was turned all the way on the opposite side. I’m not entirely sure if this is by design due to the purpose of the BE2 being targeted to people who are active. The built-in microphone provided an added bonus if on the odd chance someone were to call while on your run. The call quality was crisp, clear on either end. Noise cancellation for when it’s windy or loud traffic would have been a nice thing, however, at $49, you can’t ask for too many features. Something else worth mentioning, these apparently produce a better sound quality with the AAC support drive for iOS devices. Overall, I give the BE2 a 3.5 out 5 mostly due to the sound quality. 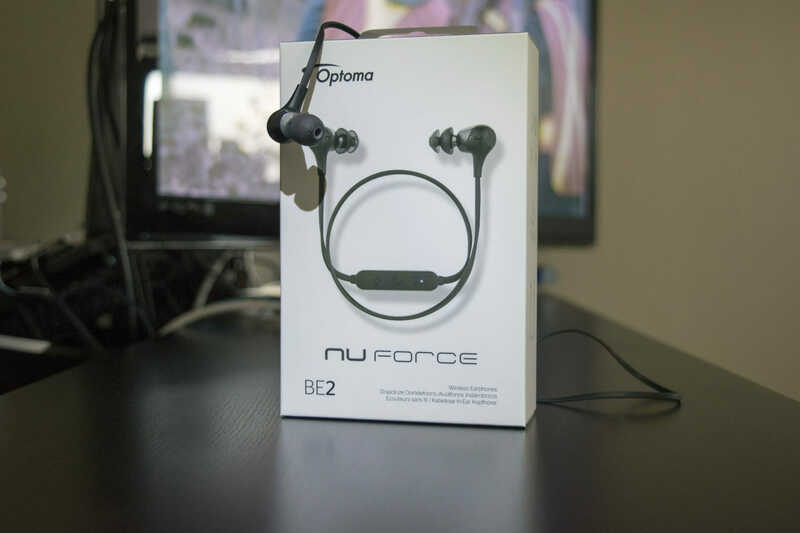 - Quality Sound and Device Compatibility: The BE2 headphones are the only model in this price range supporting AAC compatibility, which ensures maximum audio quality and iPhone® connectivity, as well as other Apple products. - Durable, Functional Design: Crafted with polycarbonate and equipped with Kevlar reinforced cables, the BE2 offers a lightweight, sturdy design. In addition, the wireless in-ear headphones feature magnetic earpieces, which allows for tangle-free listening and portability. 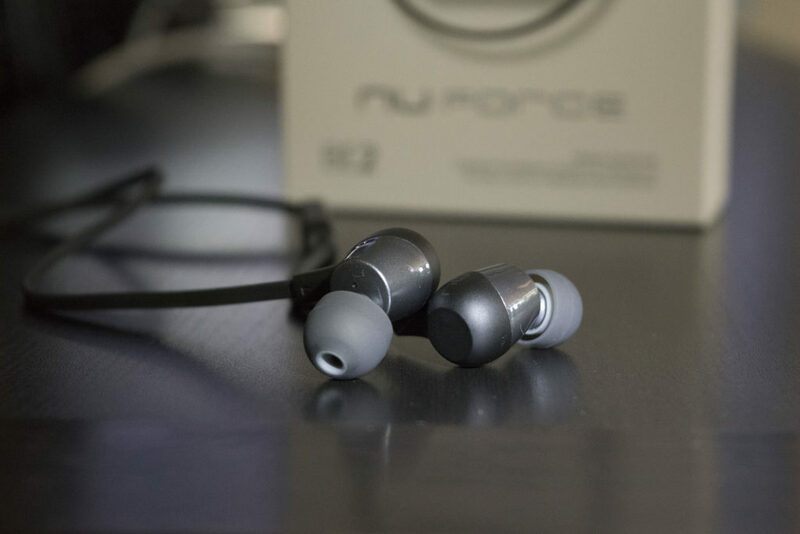 - Patented Ear Tips: Exclusive to NuForce, the BE2 come with SpinFit TwinBlade® ear tips which are designed to provide optimal fit and comfort. Developed from high-quality silicone, they provide superior stability and improved noise isolation. - Extra Long Battery Life: BE2 users can enjoy up to 10 hours of continuous listening while on the go. - Sweat Proof for Active Lifestyles: With an IPX5 rating, the headphones are water and weather resistant, guaranteeing protection from rain and sweat. The BE2 headphones are available for purchase through Amazon for $49. For more information, please visit http://a.co/eMa81go.